Political parties are expected to do a detailed analysis of the June 24 elections to better prepare for the municipal elections, assessing their weaknesses and strengths. Leaving behind the historic June 24 presidential and parliamentary elections, political parties have begun to ramp up their efforts for the upcoming local elections. While some parties see local elections as a chance to recover from failure in the latest elections, others are looking to seek further their success. On Sunday, the main opposition Republican People's Party's (CHP) Vice Chairman Seyit Torun said that "the CHP is ready for the local elections. We have made our preparations and continue to do so." In his remarks, Torun also signaled that the CHP does not have a problem with possible snap elections. Food, Agriculture and Livestock Minister Ahmet Eşref Fakıbaba said in a televised interview on Sunday that it would be better to have local elections on Nov. 1 this year, as the mayors would not lose any time to start work on their plans and projects, instead of the previously scheduled date of March 31, 2019. Parliamentary speaker İsmail Kahraman, however, stated yesterday that "there will not be snap local elections as it is against the constitution." Pointing out that March was not very far away, Kahraman said that there was an article in the constitution regarding the date of the local elections, while there was no such rule for the general elections. In order to hold early local elections, a change in the constitution is necessary. According to the unofficial results of the June 24 elections, the People's Alliance formed by the ruling Justice and Development Party (AK Party) and Nationalist Movement Party (MHP), have 344 lawmakers in Parliament which means that other political parties are needed to decide on holding snap elections. CHP's spokesperson Bülent Tezcan was quoted by the HaberTürk newspaper yesterday that the party will start working on local elections without waiting for the election calendar which will be published by the Supreme Election Council (YSK). Tezcan said that the CHP will announce its mayoral candidates after diligent analysis of the presidential and parliamentary elections. His statements indicate that the CHP will begin their preparation for local elections by paying heed to the lessons learned on June 24. The party's spokesperson stressed that experts will present a technical analysis of the elections while the party's research and development units will also analyze the results. Thirdly, the party's organizations will focus on local analysis. 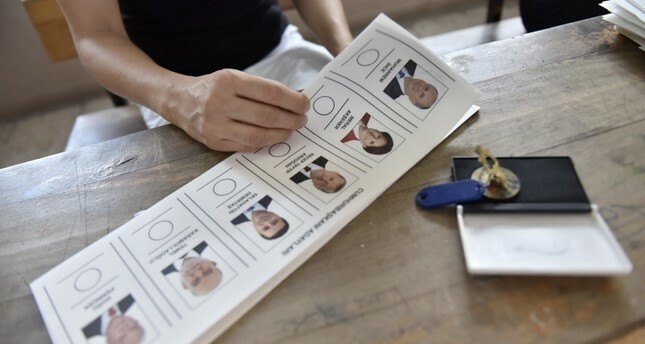 In the June 24 elections, the CHP's presidential candidate Muharrem İnce, a former deputy of the northwestern province of Yalova, gained 30.7 percent of votes and came in a distant second. Meanwhile, the CHP's votes in the parliamentary elections remained at 22.6 percent, a gap of nearly 8 percent between the İnce's total vote and his party's. Pointing to the shortcomings of the party's organizations, Tezcan said that "instead of rhetoric solely addressing neighborhoods [traditional CHP voters] and asking for votes, we will adopt a new discourse addressing 'opposite neighborhoods' [non-traditional CHP voters], asking for their votes." As of today, we will work in the field "as if there was an election tomorrow," Tezcan said, revealing that the CHP maintains its enthusiasm for local elections, despite their failure in the June 24 elections. According to the results of the local elections in 2014, the AK Party won 18 metropolitan municipalities with 60 percent of the votes and won 800 municipalities with 59.22 percent of the votes. The AK Party is also gearing up for the municipal elections. Traditionally, the AK Party has paid significant importance in municipal elections, particularly in larger provinces, such as Istanbul and Ankara. For the upcoming elections, the party will seek to build up on its recent June 24 success with momentum gained during the campaign period. In the June 24 elections, the AK Party formed an alliance with the MHP. As a result of the elections, AK Party had 42.5 percent of the votes, losing the majority in Parliament. The MHP received 11.1 percent of the vote, pushing the People's Alliance to 53.6 percent. The chairman of the AK Party President Recep Tayyip Erdoğan was re-elected by gaining 52.6 percent of the votes. Prior to the June 24 elections, AK Party had gone through a rejuvenation period and several mayors were replaced, including the mayors of Istanbul and Ankara, two AK Party strongholds when it comes to municipal elections. All party branches and local organizations of AK Party have also been urged to draw up reports as to why the party has not been able to attract more voters in specific regions or districts. Meanwhile, AK Party Ankara deputy and head of the party's women branch Lütfiye Selva Çam said that the party would use the SWOT (strengths, weaknesses, opportunities and threats) system to analyze the behaviors and preferences of voters. Stressing that the party needs sociological analyses as much as technical analyses, Çam stressed that the SWOT analysis will serve as a road map for the whole party. On the other hand, President Erdoğan also stressed that the party should not leave the election atmosphere behind and continue to remain enthusiastic. "We will get ready for the local elections, while there is an election atmosphere. At this stage, we will try to find mayoral candidates that the people would prefer and love," he was quoted as saying in recent Central Decision Board (MKYK) and Central Executive Board (MYK) meetings. For the local elections, MHP Chairman Devlet Bahçeli also asked his party officials to examine the reports focusing on whether the mayors had fulfilled their promises or not. Bahçeli is also expected to determine the candidates before other political parties do. The MHP chairman will consider the previous performances of the mayors and their main projects while choosing the candidates.